ALLED Lighting Systems offers a wide assortment of LED lighting fixtures. Our main focus for the last ten years has been the Industrial/Commercial side of the market, however within the last year, ALLED has begun to sell to the public with our Commodity product line. We offer both the ALLED Lighting Fixtures model and the RAYdiant LED Lighting System model. The ALLED Lighting Fixtures are known as our legacy lighting fixtures. These fixtures have been operating for nearly ten years with minimal to no failures whatsoever. The RAYdiant LED Lighting System has been operating for over two years with minimal to no failures whatsoever. The RAYdiant LED Lighting System heralds a revolution in LED lighting technology. With one high-powered COB LED per light-engine module, the RAYdiant system achieves new levels of simplicity, scalability and efficiency in LED lighting design and operation. What makes ALLED superior to other LED companies? Our patented LED lighting design corrects a problem inherent to traditional LEDs. For most lighting fixtures, the longer the fixture s tay on, the more heat it generates. The fact is, heat damages the LEDs, greatly reducing their lifespan. That’s why ALLED developed and now own numerous patents on a variety of efficient design features, including an advanced cooling process that allows heat to dissipate from the interior of the fixture. This allows the LED fixtures to operate for many years at high-intensity levels while staying cooler. Our revolutionary designs provide ALLED lighting fixtures with a maintenance-free life lifespan that can last from 15 to 30 years or more! Besides offering significant reductions in energy costs due to consumption, ALLED’s LED fixtures can provide reliable, long-term illumination that’s simply unimaginable with current lighting technology. The concept is simple, but the execution is critical: the less heat that accumulates in an LED light fixture, the longer the life of the fixture. 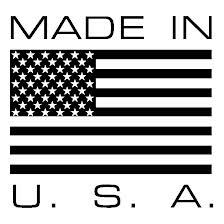 And – unlike most other LED fixture manufacturers, whose products are primarily comprised of lesser-quality components – our fixtures are assembled in America with high quality components, many of which are American-made.